This massively sleek battle sword is the perfect companion for any elven warrior. 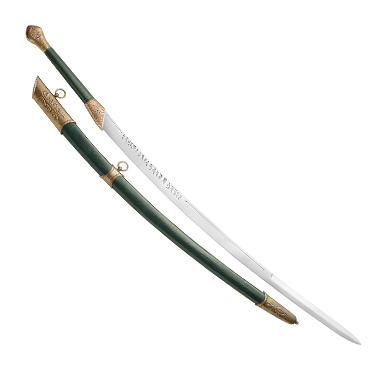 The deep green leather handle and scabbard is contrasted beautifully by the antique brass pommel, crossguard and fittings. 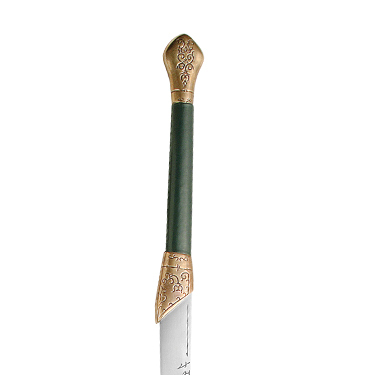 The high carbon steel blade has ancient elven script etched on both sides. Made by Windlass Steelcrafts.